True crime podcasts have already come a long way since Serial broke records in 2014, branching out to cover a range of crimes from a range of different perspectives. 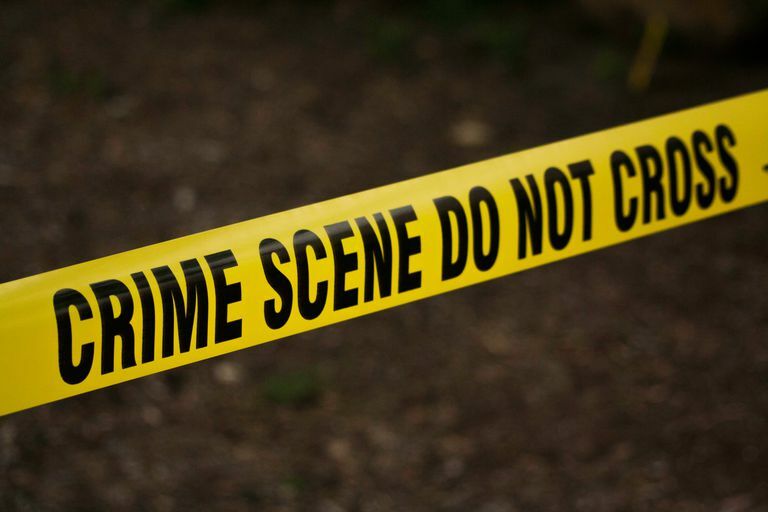 Yet as this rundown of the best true crime podcasts of 2019 will show, for all their wide varieties, the best all have one thing in common: they explore our society, psychologies and relationships just as much as crime itself. These podcasts are free unless marked (there is only one that isn't free). Atlanta Monster is as much a doc about the late '70s and early '80s as it is a true crime podcast. The deeply immersive recreation of the era and context. The examination of society, race and class. The ads that open each episode, although these can easily be skipped. Made by the same producers as Up and Vanished, Atlanta Monster documents the Atlanta Child Murders, a spate of killings and disappearances that gripped Atlanta between 1979 and 1981. The podcast is hosted by documentary filmmaker Payne Lindsey, who examines the unanswered questions of the case with a cool, dispassionate eye. What distinguishes it is not only its extensive use of testimony from experts and residents, but also its attention-to-detail in recreating the late '70s/early '80s, mostly via the medium of music from the era. West Cork offers true crime fans a probing insight into the psychological makeup of its main suspect. The very comprehensive inquiry into the case, and its use of multiple sources and points of view. The podcast isn't free, requiring a subscription to Amazon's Audible service (although the latter offers a free 30-month trial). A cold-case podcast in the vein of Serial and Atlanta Monster, the 13 episodes of West Cork focus on the unsolved 1996 murder of French TV producer Sophie Toscan du Plantier. Hosted by investigative journalist Sam Bungey and TV producer Jennifer Forde, the podcast doesn't simply examine the unanswered questions surrounding du Plantier's violent murder, but it also offers a probing psychological study of the main suspect, as well as an exposé of how the original investigation was botched by the police. Criminal's period-hopping reconstructions arguably make it the most educational true crime podcast. Crimes and their backgrounds are reconstructed in absorbing detail, strengthened by interviews with experts and witnesses. The wide variety of subjects may not be satisfying to anyone who wants to explore a particular crime in more depth. For those who want to immerse themselves in different crimes and contexts with each new instalment, Criminal is probably the best true crime podcast available for free streaming. Hosted by award-winning journalist Phoebe Judge and originally launched in 2014, each episode focuses on a new crime, individual, or story. One recent show, for example, enters the murderous world of the 'It Girl' of New York's Gilded Age, Evelyn Nesbit, while another features interviews with the "Parents of Murdered Children" support group in Durham, NC. Crimetown is the perfect podcast for those who take a more structural, environmental view of crime. The ability to put crime in a wider political and economic context. May not appeal to those who don't have much interest in the cities covered. Coming from the creators of HBO's The Jinx, Crimetown is a true crime podcast with an original, wide-lensed angle. It doesn't look at specific crimes but rather the 'crime culture' of specific towns, which provide the focus for each season. The first series analyzed the crime in Providence, Rhode Island, where corrupt mayors were no less criminal than mob bosses. Hosted (and produced) by Zac Stuart-Pontier and Marc Smerling, its gritty portrait of crime within a single city make it the podcast, non-fiction equivalent of The Wire. In the Dark exposes flaws and holes in criminal investigations. Its careful investigations of investigations. Its focus on the conduct of investigations may not be satisfying to those more interested in the crimes themselves. The recipient of a Peabody Award, In the Dark, is another true crime podcast that spends each of its seasons placing a magnifying glass over a single unexplained crime. It's hosted by investigative reporter Madeleine Baran, and it very much takes an investigative approach to its crimes, which in both seasons relate as much to failures of law and justice as to the ugliness of crime. Its latest season examines just why the same suspect has faced trial for a quadruple murder six times, using of multiple witnesses and careful narration to provide a vivid picture of the respective crimes. Swindled's look into everyday corporate crime makes it one of the truest crime podcasts. Its engrossing insight into some of the most outlandish scams and corporate injustices in recent history. Sometimes lacks a human angle. In contrast to true crime podcasts about murders and disappearances, Swindled is a podcast that focuses on white-collar crime, such as fraud, insider trading, bribery, and so on. Hosted by the anonymous "Concerned Citizen," its attraction lies largely in its ability to penetrate below the surface of corporate America, using steely narration and archive recordings to expose corruption in a highly gripping way. My Favorite Murder will come as comic relief to anyone jaded by the persistent darkness of many true crime podcasts. The relatable and amusing hosts, whose banter prevents the subject matter from being too affecting or depressing. The colorful language, which may be too frequent and strong for some. Discussing violent murders in a laid-back, chatty way can seem a little odd at times. For anyone who worries that listening to dark crime podcasts may become overwhelming after one too many gruesome homicides, My Favorite Murder is a recommended antidote. It's a comedy true crime podcast hosted by writers/comedians Karen Kilgariff and Georgia Hardstark, who spend each episode nonchalantly looking at one or two murder cases, all the while interspersing their irreverent and conversational brand of humor. Heaven's Gate provides a vivid portrayal of the circumstances that can lead people to extreme acts. The unique subject matter, which is handled in a thoughtful and respectful way despite its extremity. May not be as crime-focused as some true crime fans would like. Heaven's Gate is a crime podcast exploring the religious millenarian cult of the same name, which in March 1997 saw 39 of its members commit the United States' largest ever mass suicide. Hosted by Glynn Washington of Snap Judgment fame, it offers a thorough history of the cult and of the events leading up to the suicide, making it as much a sociological study of fringe religious groups as a crime podcast. Dirty John reveals the pieces of its disturbing puzzle in a slow, tantalizing way. The almost forensic examination of John's behavior and psychology. The slower pace may not be entirely appreciated by those who want crime podcasts to unfold quickly. Always searching for that missing clue or piece of information, Someone Knows Something has a knack for amplifying the 'mysteriousness' of true crimes. The careful unfolding and revelation of new details on each case. The well-constructed sense of mystery. May not be satisfying for listeners who like a clear resolution to their stories. Hosted and directed by filmmaker David Ridgen, Someone Knows Something is a true crime podcast that spends each of its seasons investigating a single cold case. In the latest season, Ridgen examines the case of Wayne Greavette, who was killed in 1996 by a bomb contained in a supposed gift he received via mail. No one still knows who sent this bomb, yet Ridgen's careful inquiries into the various aspects and figures of the case gradually shed new light on it as the season unfolds, while providing a well-rounded depiction of Greavette's semi-shrouded life. Sword and Scale: a true crime podcast, or a true horror podcast?. The unflinching ability to examine the most extreme examples of human behavior. The episodes may be too heavy and dark for repeated listening. True crime podcasts generally aren't lighthearted affairs at the best of times, but the horrific cases featured on Sword and Scale can be enough to make even the most hardened crime fans shudder in disgust. One recent episode examines the brutal Maddie Clifton case, while the hundredth episode of the podcast looked at the 2014 killing of Ramsay Scrivo, whose own mother was found guilty of his murder. Such disturbing cases are typical, but host Mike Boudet narrates them in a calm, matter-of-fact way, without resorting to salaciousness. Casefile is another true crime podcast at the horror end of the spectrum. The fast narrative momentum of episodes. The unnerving, often distressing ambiance may be a little too dark to handle in frequent doses. First appearing in 2016, Casefile is an Australian podcast that focuses on the grislier end of the crime spectrum. Hosted by "Anonymous," the eerie background music helps to create a haunting atmosphere in which each episode's tale of murder or violent crime is evocatively spun. Every episode focuses on a single crime, although in some special cases these are stretched into two- or three-parters, enabling listeners to really lose themselves in the recreated events. Unsolved Murders uses acted reconstructions to heighten the drama of its episodes. The episodes are well-paced, building characterisation and creating suspense while still moving quickly. The tone of the podcast can sometimes be a touch melodramatic and overemotional. Launched in 2016 and produced by Parcast, Unsolved Murders is one of the longest-running and most successful of the post-Serial crime podcasts, and with good reason. Each episode deals with a different unsolved murder, moving from one town or country to the next and covering a broad range of murders and situations. What distinguishes it from many other podcasts are the dramatic reconstructions, with the podcast using actors to recreate important scenes rather than witnesses or experts.